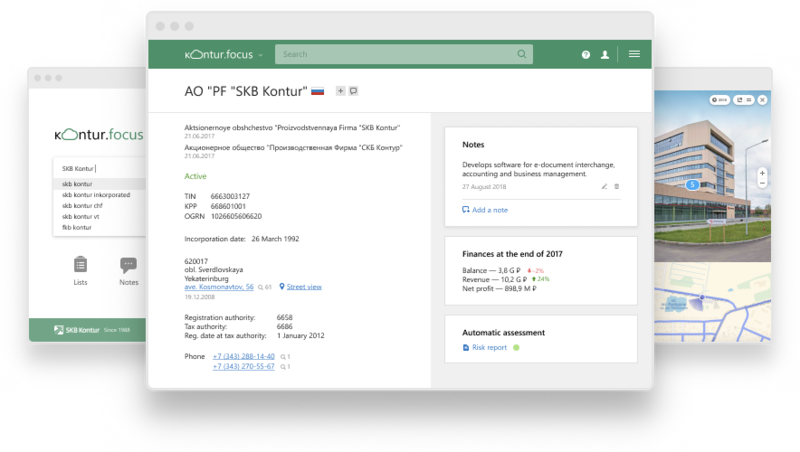 Kontur.Focus is a web service that will help you quickly check and evaluate the risks of doing business in Russia and find proper companies, which can become your paying customers and suppliers from Russia. Company’s address, incorporation date, status of business activity, a field of business, names of the present and former leaders and founders of the company — all this and many more information is available in Kontur.Focus and updated online. The search is possible by company details and their combination: name, address, leader’s and founder’s names, company registration number in Russia and etc. signs of business activity of the company. Kontur.Focus allows following all connections between companies, leaders of the companies, founders and assessing Russian business environment. You can form a database of potential customers and suppliers from Russia online. It is possible to choose the criteria you are interested in: region, a field of activity, signs of business activity, financial indicators, availability of arbitration cases, address and contacts. 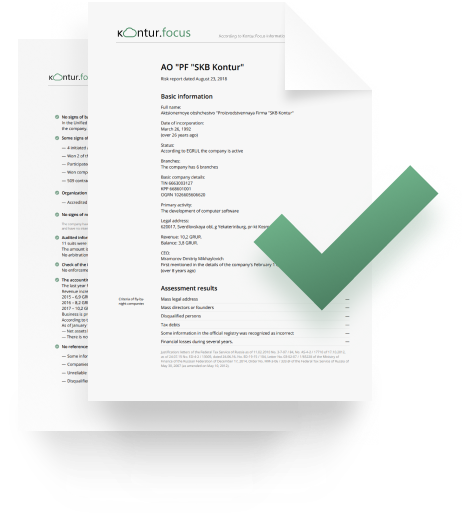 Risk reports will help you identify the risks of working with companies. The set of criteria for Russian companies base segmentation is constantly expanding. 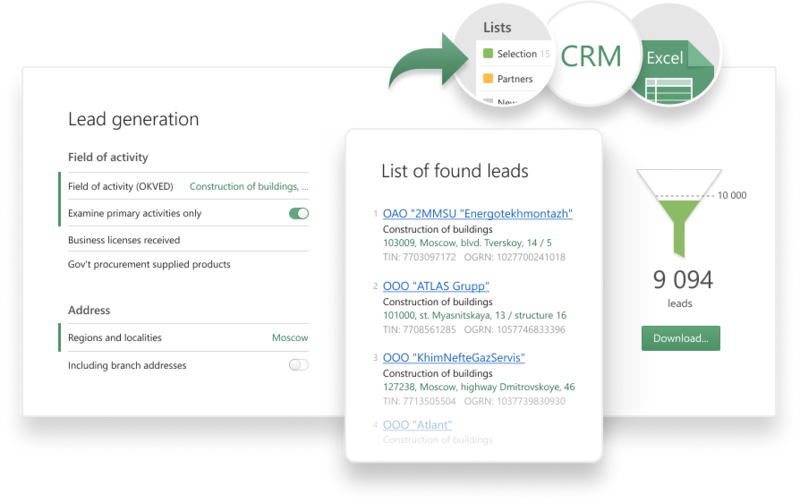 You can save the results of the companies selected to the Focus lists or to your own CRM. In order to make a call to the company in time, write notes, create and share your own lists. Kontur develops software for business enabling easy cooperation between companies and their partners, companies and government as well as streamline internal business processes. 4th place in the ranking of high-tech fast-growing Russian companies and 7th of 40 in 2017 among the largest Russian software development companies, according to CNews Analytics. Our products are widely used by corporations as well as small entrepreneurs all over Russia. SKB Kontur has partners in all regions of Russia, Europe and the United States.